Grosh's Grass Gazette - Let Freedom Ring! ADD SOME GREEN TO YOUR WALLET, AND YOUR FRIEND'S LAWN, WITH A REFERRAL! Now is the time to consider your spring blooming flowers for next spring! Yes, next spring even though summer has just begun. The selection now is great for fall delivery and late fall planting so that you will be rewarded when spring arrives next year! Contact Tom today to schedule your fall bulb planting and allow Tom to design you a flower garden that will bloom all season long! 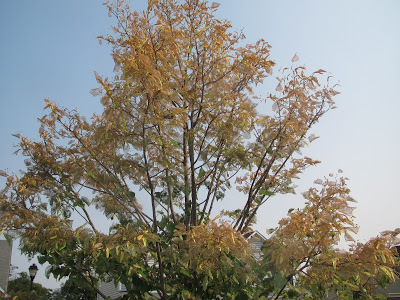 Take time over the next few days to check your trees and shrubs for Japanese Beetles. Japanese Beetles are destroying trees and shrubs in Hagerstown, Maryland and the surrounding area. Not only do beetles cause tree defoliation as shown in the photo above, but they can also lead to grub problems and also bring skunks that are looking to munch on the grubs! Now you are probably asking yourself, "What do I do to prevent beetle damage?" While beetle traps may seem like a sensible solution, they actually cause MORE PROBLEMS. Beetle traps actually attract more beetles to your property. Beetle and grub prevention is critical this time of year. 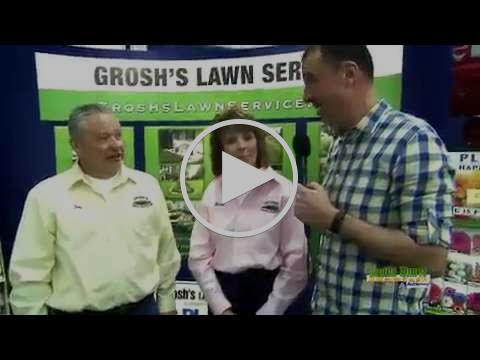 Consider having Tom and the team from Grosh's Lawn Service apply a grub treatment to your property. Give Tom a call today at 301-842-0062 or email him, Tom@GroshsLawnService.com. Tom Grosh has been in business for a quarter-century. From lawn mowing and lawn care to custom landscape renovation and tree trimming, Grosh's Lawns Service is your one stop shop for all of your lawn care and landscaping needs! The client always comes first for Tom and the Grosh's Lawn Service team. Find out more at www.GroshsLawnService.com. With all the heavy rains and storms our region has received lately, is your home prepared? Many of our clients think that gutter guards will protect their rain spouts from debris and build up. In the photo above, a client thought his home was protected by gutter guards. As you can see, his gutters were completely clogged. Tom and the Grosh's Lawn Service crew are standing by for the emergency call of water in the basement caused by blocked gutters! 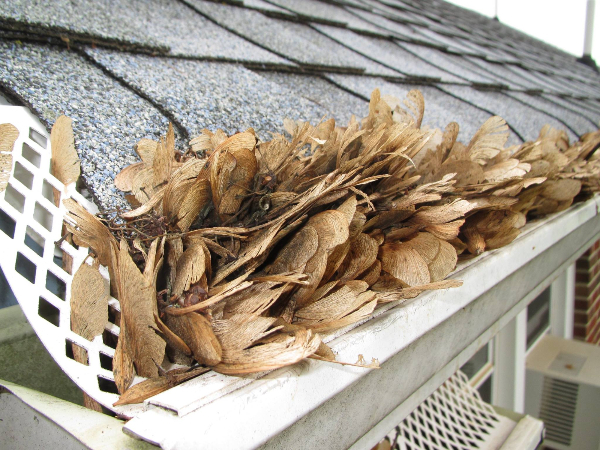 But prevent the emergency and have Tom come clean your gutters before the next big rain! Give Tom a call today at 301-842-0062 or email him, Tom@GroshsLawnService.com. DOES YOUR POOL NEED A PICK-ME-UP? 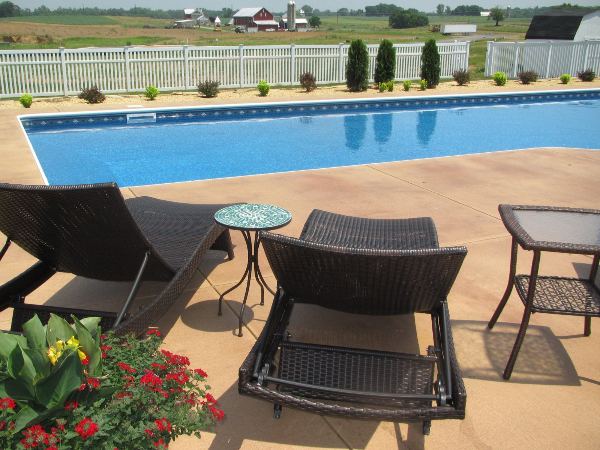 Is your pool looking drab? Are you looking for a way to spruce up your pool area so you feel like you've stepped into Club Med in your backyard? Let Tom at Grosh's Lawn Service custom design a landscape that you can LIVE with! Contact Tom, Tom@GroshsLawnService.com, today to get the landscape of your dreams! Thanks for the Summer Wine bushes. I was waiting on your bill and appreciate your gift. I am very, very happy with my sidewalk and landscaping. It improved the front of the house and I get many oohs and ahs from my family, neighbors and friends. They tell me how they hated the tall bushes. Still interested in fixing the end gutters of the driveway. Maybe you could give me an estimate for doing in the fall. When I spoke to you at the Home Show, I was impressed with your knowledge and kindness when speaking to me. You didn’t rush me off even though you did not know if I was serious in using your services. I want to especially thank your workers and you for the professionalism, knowledge and hard work you all do; that is a great compliment to your family company. I keep telling everyone I recommend Grosh’s Lawn Service if they need any landscaping, etc. done.